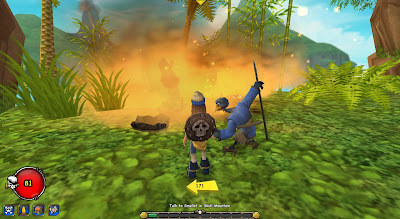 Today I had a chance to start questing on my privateer for a little bit. 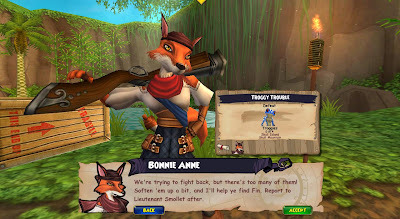 I leveled her up to level 3, and she got her second companion, Bonnie Anne. 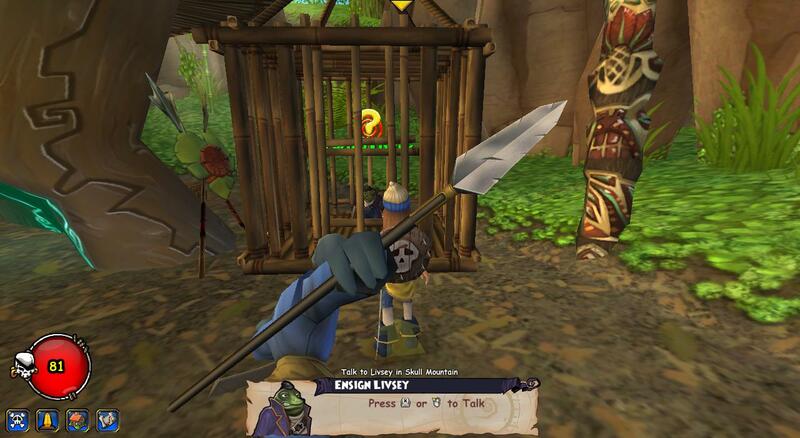 When we start off questing in Skull Island, we are brought to Captain Avery's office. 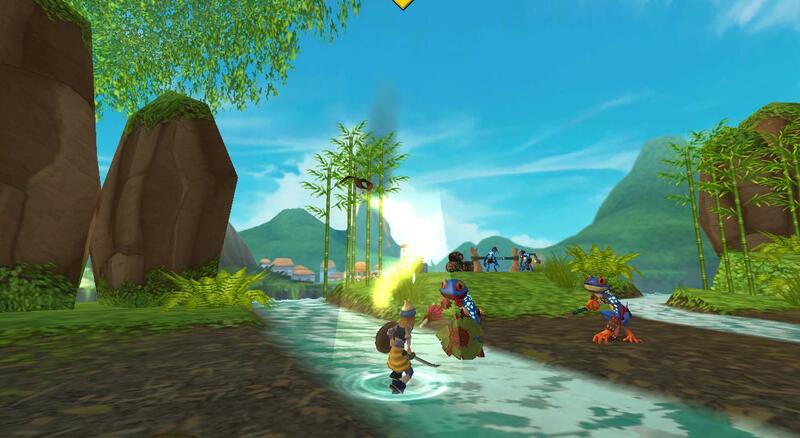 He tells us that if we help him find the Jade Amulet that Fin stole, he will help us out and give us a ship. After talking to Rigby, we go to Skull Mountain and talk to Bonnie Anne, who tells us we need to defeat some troggies. This is accomplished in just a couple fights. I have to say, going back to fighting with only one companion, after having 2, 3 or more on my witchdoctor was really strange! 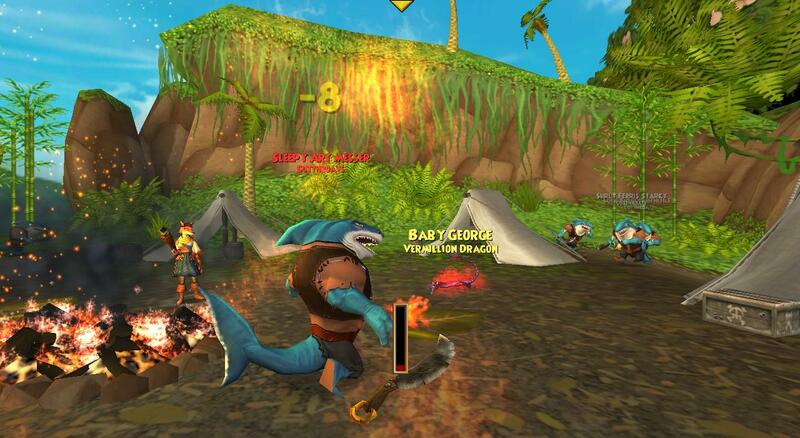 My privateer's healing skills at work! Egg Shen's first critical hit! 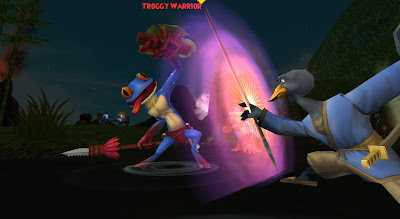 Flying troggy? Or dead troggy? Or maybe both? Wow, that was quite an explosion! I went back to Smollet with singed eyebrows and he had the nerve to ask me to go track down his friends Livesy and Shepherd. Of course there had to be more complications. We come across Livesy, who has been locked up in a cage. And we have to defeat more troggies to free him! 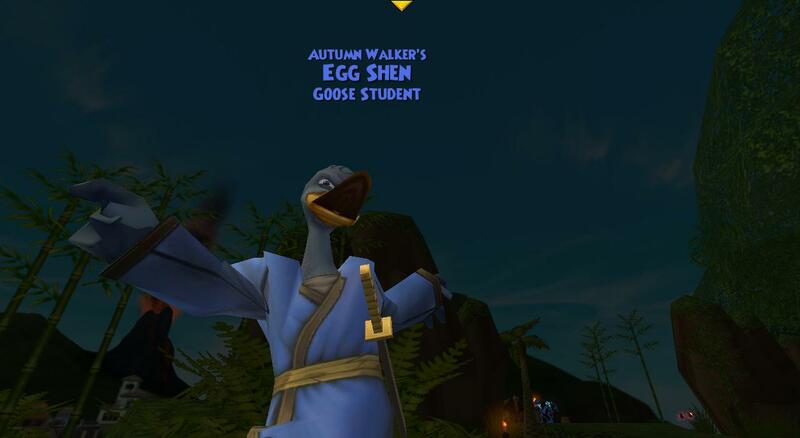 You DO NOT want to make Egg Shen mad! 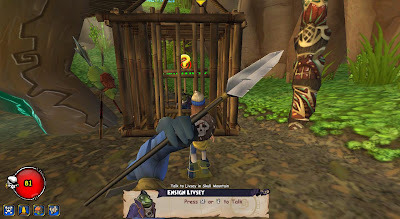 After we free Livesy with the troggie's key, we have to head towards Skull Cave. But first we have to defeat some Cutthroat Sharks to gain entrance. These guys are even meaner than the troggies! The Cutthroat's camp. 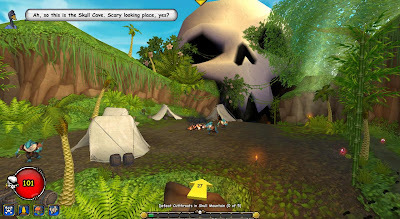 Skull Cave is in the background. My....What big teeth you have! 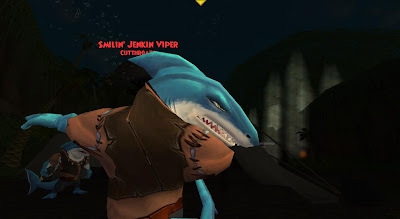 And my pet finishes off the last shark. TAKE THAT! 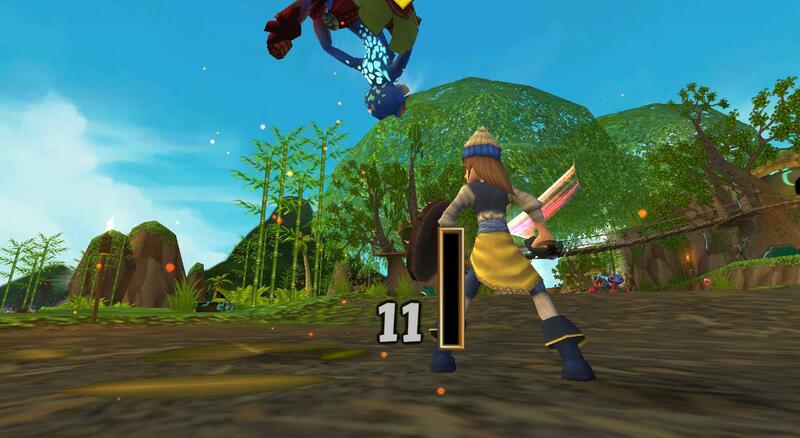 After that battle, I gained level 3. (Only 47 more to go!) And now it's time for Skull Cave. But I am kind of nervous. It's supposed to be dark and spooky in there. Who knows what types of things live inside. We'll find out next time! 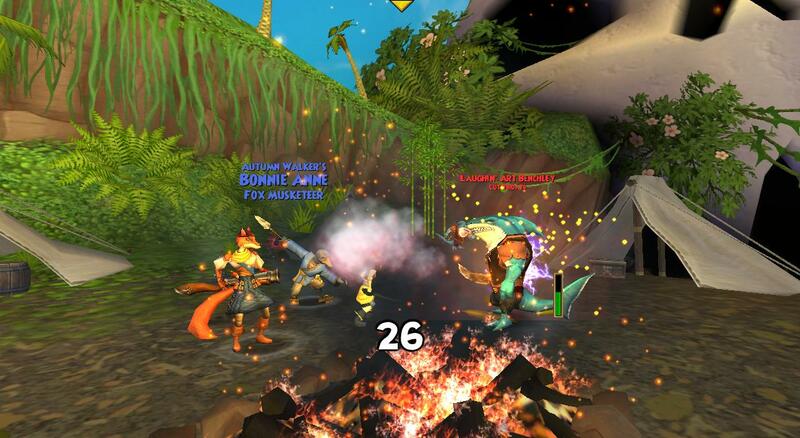 Thanks for reading and have fun questing! Is the privateer good? I was thinking of making another pirate but I don't know if that class is good or not.